All Android ADB FRP Remover Tool is service tool which allows you to bypass or remove FRP protection from any Android Smartphone and Tablets. It allows you to remove FRP protection from Samsung, Huawei, LG, Xiaomi, Lava, Micromax, Spice, Alcatel, Vivo, BLU, Celkon, Cherry Mobile, Coolpad, Cubot, Elephone, Evercoss, Fly, Gionee, Haier smartphone and tablets. It allows you to remove the Factory Reset Protection from any Android device in a click only. Simply Connect the device to the computer and launch the tool and click on the remove FRP button. 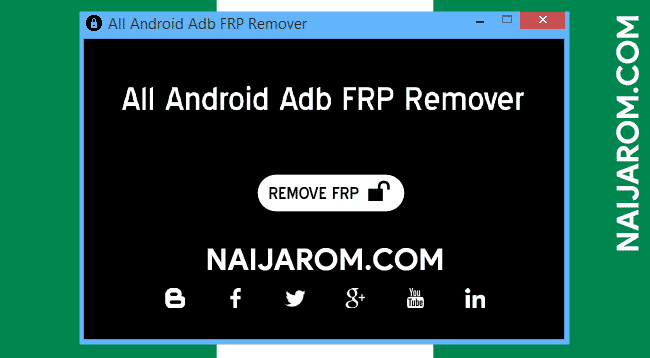 [*] Credits: All Android ADB FRP Remover Tool is created and distributed by Asif Kamboh Lucky. So, full credits goes to Asif Kamboh Lucky for sharing the tool for free.